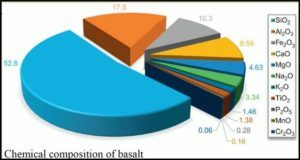 Basalt bars for concrete reinforcement called Basalt Fiber Reinforced Plastic (BFRP) is a new material, so it is necessary to identify the differences and limitations of their use in the concrete structures in relation to traditional steel reinforcement of concrete structures. 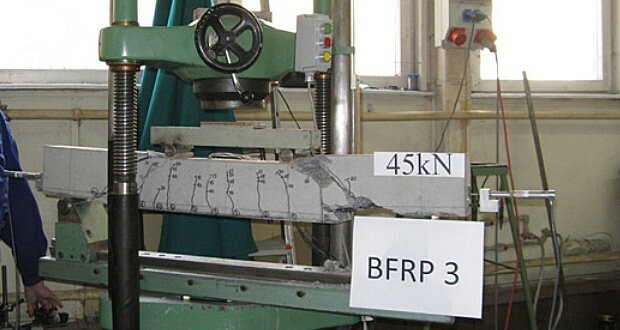 The paper presents some chosen results of pilot research on the series of simply supported beams under flexure, reinforced with BFRP bars, compared to the reference beams with steel reinforcement. 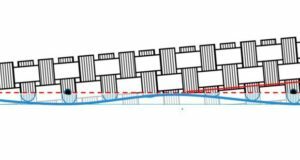 The tested beams were made of C30/37 concrete and reinforced with basalt bars with 8 mm diameter having and tensile strength evaluated from the tensile tests. The analysis of the beam deflection and cracking behavior has been presented. 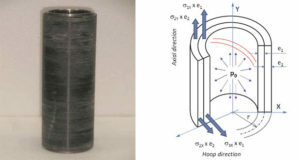 The results show the different character of the load-deflection relationship of basalt reinforced beams compared to traditionally steel reinforced beams, as well as the significant influence of the type and quality of anchoring on the process of basalt bars tensile process. 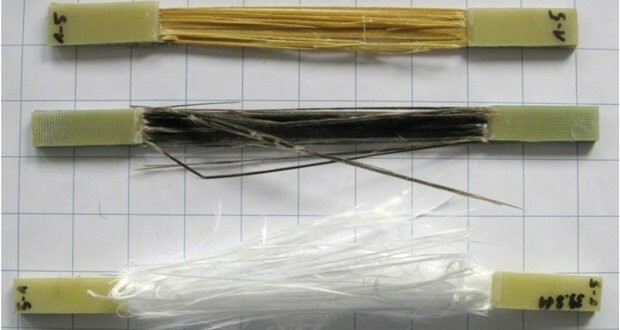 Previous: Can basalt fiber bridge the gap between glass and carbon?